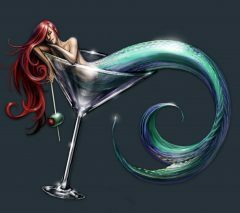 Welcome to Smartini Life, the website of Fran Martini, Brian “Butch” Smith, May the Cat, and Smartini, the 52′ Kristen Trawler on which we all live. 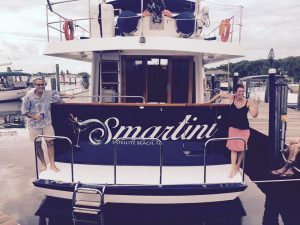 The word Smartini is a mashup of Smith and Martini, and our friends have referred to us as “the Smartinis”, or “Team Smartini”, for some time, so when we bought our floating home, “Smartini” seemed the obvious name for it, too. Brian is the primary author of the site, so first person references usually refer to Brian. Fran will write occasionally – but will probably post way more pictures than me – she’s good like that. May will be in the pictures now and then, but will have no other involvement in the site. 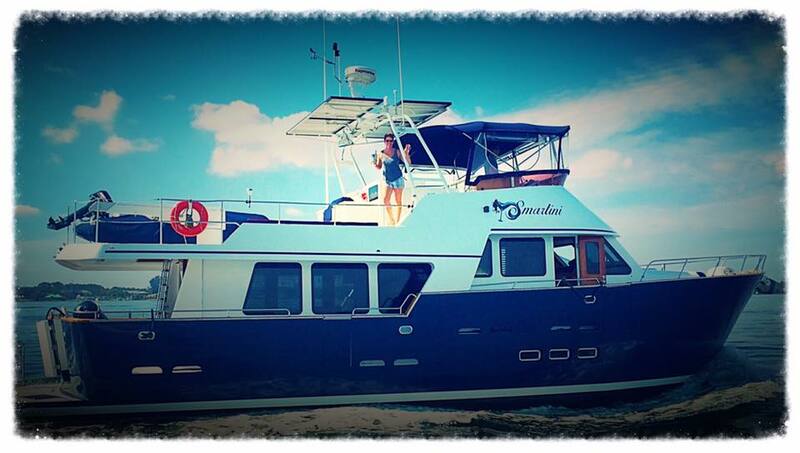 Fran and I met in February 2005 (maybe I’ll write that up sometime – it’s a good story), got married in July 2009, retired in October 2013, bought Smartini in January 2016, got rid of almost everything and moved aboard in July 2016, and left our home marina (Anchorage Yacht Basin in Indian Harbour Beach, FL) on November 12, 2016. We finally made it to the Bahamas on March 1, 2018. Our objective: a thorough exploration of the Bahamas and the Caribbean over three to five years, looking for a place to buy a home where we’ll spend most of our time for as long as that makes sense. Send me your name, the email address you’d like me to send post notifications to, and a username you want to use. (If you don’t tell me a username, I’ll use your first name and the first initial of your last name.) After I sign you up, you’ll get an email confirming your subscription, which you need to reply to.